Saturdays vs Psy: Who sang what? Mariah Carey: Do we really need the hashtag? 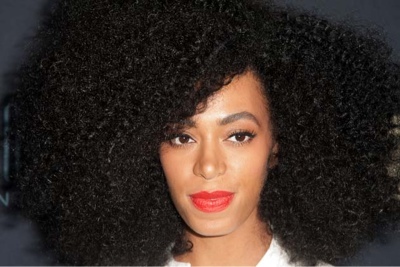 1) Solange Knowles has a new single called Looks Good. 2) It features Kendrick "not that Lemar" Lamarr. 3) I am in Cannes, on a dodgy 3G connection. 4) But it's bound to be amazing, right? PS Solange has done a cover story with Complex magazine, where she says lots of really meaningful things like: "the idea of convention versus non-convention or mainstream versus indie or any of those quote-unquote ‘conflicts’ has never crossed my mind." You can read it here.